iSystemsNow is always very proud to support community organizations, especially those which promote the physical activity, team work, and the drive to improve a skillset that youth sports foster. 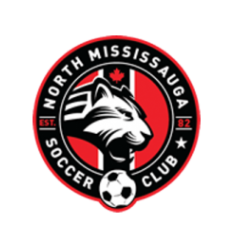 For the 2018 season, iSystemsNow will be the primary team sponsor for the North Mississauga Soccer Club Girls U-14 competitive soccer team. Growing up I started playing house league sports, then graduated to competitive teams in Jr. High and continued on to play competitively throughout high school. Today, sports (soccer specifically) is still a big part of my life playing in Waterloo Region’s Tri-City Men’s Soccer League. I firmly believe the work ethic and attitude that is fostered in youth athletics is paramount to success throughout all aspects of life, including a professional environment. Learning to play as part of a team, where all contributions are valued and relied upon, and to contribute towards a common goal is hard to teach outside of such an environment. Equally important is leaning to fail, to lose, and to bounce back harder and stronger; Learning to be self-critical about areas of your game that need improvement and to accept coaching and feedback from someone in a position of authority or from someone with a different perspective than you. iSystemsNow will be cheering on NMSC U-14 girls this year not only as sponsor, but also in support of our good friend and electrical designer Ron McCarthey’s daughter Brianna McCarthey who is not only a key player on the U-14 girls competitive team, but is representing Team Canada at the International Children’s Games this summer in Jerusalem. We urge anyone who is willing and capable to support youth sports in our communities, be it financially, volunteering as a coach, or committing to bring children or nieces & nephews out to participate in a weekly league team! By 2019 Ontario’s minimum wage will increase to $15/hr. This is great news for those working at the minimum wage rate, but the counter to that is how business’, small to large, will be affected. At first glance raising wages $3.60/hr does not seem like a deal breaker to the uninformed eye. However, once you calculate that over a modest 30 hour work week ($108), for the year ($5,616), and then add in another 100 employee’s ($561,600). You can see how this can start to add up for larger corporations. 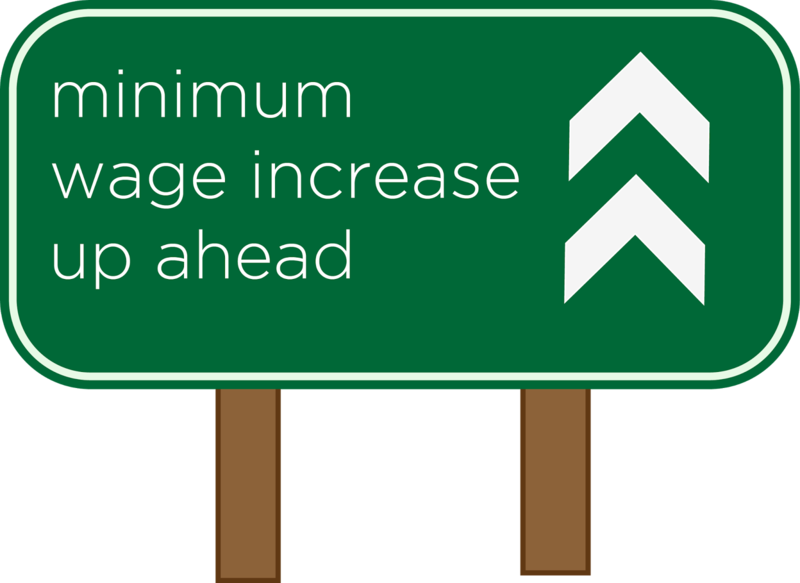 One way companies can help offset the incurred cost of the minimum wage increase is to automate some of their day to day operations and processes. You can constantly prototype, build, test, and adjust to best meet evolving business requirements. Plus, automated development lets you enforce standards and best practices for consistent, high quality solutions. There is no right or wrong way to prepare for the minimum wage increase, but not having a plan in place can cost a company time and money. We’d be happy to help explore what options you have to help your business continue to thrive when 2019 arrives. Saying technology is the future for the insurance and financial industry is like finding Waldo. Some pick him out quick, others take a little longer to make the connection, but everyone knows he’s there. (in this scenario Waldo is technology, the readers are the companies). Having worked in the insurance industry for the better part of 9 years, technology trends have always been apart of the insurance world. Companies investing time and money to make sure their product is produced first to agents, brokers, and clients enabling them to gain the upper hand in a very competitive business. I read a report that stated billions of dollars has been invested by insurance companies to keep up with the revolving door of technology. This number far exceeds the trillion dollar mark when you take into consideration the ever growing insurance start-ups. Companies need to be sure the technology they are using for big data, analytics, telematics, and automated processing – to name a few – is at the highest standards. Whether you’re ahead of the game or slowly adapting there is no denying the benefits to technology helping your business grow by streamlining workflow and automating business processes. We’d be happy to help your team! iSystemsNow is proud to announce that the Fairbanks International Airport brand new in-line screening BHS successfully completed the TSA Battelle testing process, and is now in live operation, processing outbound passenger luggage. The new outbound system, designed by AECOM and built by G&S Airport Conveyor, is powered end to end by iSystemsNow’s BHS Now Management Studio software, which allows for full control of the BHS and access to all reports and over rides on a table and web based platform. iSystemsNow looks forward to our continued successful partnership with G&S to deploy industry leading baggage handling software and controls solutions. iSystemsNow is proud to announce the production go live of two new IT solutions to help Southwest Airlines reduce mishandled baggage at their BWI operation. Working closely with VTC and Soutwest Airlines, two IT solutions have been piloted to aid Southwest ramp agents better identify and act on mis-sorted baggage at their claim carousels. One solution utilizes a new SICK IP camera which will photograph baggage diverted to a claim unit without a proper IATA tag identifier linked to the bag. These images are then displayed prominently for the ramp agents at the drop location on the carousel, until they are located and acknowledged. The other pilot solution is a wrist mounted hand scanner which connects to the legacy Sort Controller database and makes a determination if a scanned bag is at the correct or incorrect location. iSystemsNow is proud of our continuing collaborative relationship with industry leaders such as VTC and Southwest Airlines. Over the past 6 weeks iSystemsNow has delivered new outbound baggage handling solutions for a variety of regional airports for our good friends at G&S Airport Conveyor. These systems could stretch further across North America from Hunstville, Alabama to Lubbuck, Texas all the way up to Cambridge Bay, Nunavut. These smaller baggage systems need to be designed to run with almost zero daily operational oversite, the “set it and forget it” mindset. 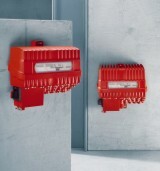 iSystemsNow systems deliver the peace of mind that when you press start, the motors will turn and bags will move. iSystemsNow has long been committed to delivering innovative and highly specialized electrical, controls and software engineering solutions for airport baggage handling systems across North America and around the world. Now we can finally bring those skills to our own backyard airport; Toronto’s Pearson International Airport. 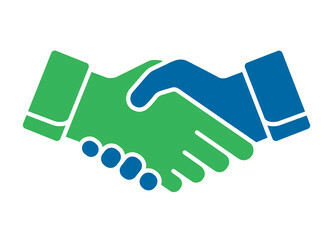 iSystemsNow is very pleased to announce that we have entered into a partnership agreement with Daifuku Webb to augment their BHS Operations and Project Execution teams which have been engaged in maintaining, operating and enhancing operations for Pearson’s Terminal 1 baggage handling system since the new terminal was built in 2007. This will be a long-term relationship expected to last for years to come. Daifuku Webb has been a leader in Material Handling innovation, based out of the Detroit metropolitan area for the better part of a century. We are excited to be able to work with our friends again and deliver high quality engineering services for the Greater Toronto Airport Authority. iSystemsNow is very pleased to announced that we have successfully partnered with Five Star Airport Alliance and VTC Inc. to perform a re-capitalization and optimization project for the Terminal 1 outbound Baggage Handling System in operation by Southwest Airlines at Baltimore-Washington International Airport. The project will involve the remove of six legacy L3-6600 EDS machines, and the integration of six new L3 EDS 6700 screening machines. The new screening machines will enable the TSA to screen baggage more effectively, securely and efficiently. In addition to supporting the TSA re-capitalization effort, the entire system PLC tracking code will be updated to the TSA PGDS 4.2 testing standards, as well as increase Southwest Airlines processing throughput by 30%. We are very excited to be kicking off this project and look forward to another outstanding delivery for BWI, Southwest AIrlines, the TSA and our partners. iSystemsNow is very pleased to announced that we have successfully partnered with Five Star Airport Alliance to be awarded the contract for the new outbound Baggage Handling System at the La Crosse Regional Airport. This project will involve the design of a new conveyor system which feeds and receives baggage from a Reveal CT-80DR EDS machine, used for X-Ray screening of baggage. The integrated system will be controlled by iSystemsNow’s BHS Now Management Studio software and controls suite. We are very excited to be kicking off this project and look forward to another outstanding delivery for LSE, the TSA and our partners. We are excited to announce that we have been awarded a project to design a new donor tracking database system in Southern Ontario. This customer relationship management software project involves defining a clear scope and set of objectives through the development of functional specification. This particular non-profit organization looking to retrofit their old system to be compatible with modern technology and enhance their management of existing donors. This new database application will use the Now Management Studio platform to centrally store data, generate reports, and allow the organization to manage donation and volunteer information. SEW has long been driving increased efficiency in the AC Induction motor, one of the backbones of the material handling industry. The three phase induction motor has gone through many incarnations over the past 20 years, having been paired up with Clutch/Brake assemblies and then more recently Variable Frequency Drives (VFD) to handle the rapid start and stop cycles times our controls place upon the mechanical drive units. SEW’s newest line of MOVIGEAR electronic motors incorporate servo technologies to replace the drive unit, which allow the MOVIGEAR DRC electronic motor to have an IE4 efficiency class, or Super Premium Efficiency. On September 1st, iSystemsNow will be moving into new office space to accommodate our growth. Our new office will be located at 420 Weber Street North, Unit 100, in Waterloo. It is exciting to experience the growth, but a little sad to be leaving the place iSystemsNow called home for the first year and half of operations. The new headquarters will provide a flexible open concept working environment for current staff and future hires over next few years. The building sits near the corner of King Street North and Weber Street North, and already houses another vibrant technology company in Kik Interactive. Kik is an up and coming Waterloo Region start-up that focuses on a smartphone messenger platform similar to BBM or WhatsApp. It is a strategic location that is easily accessible to new university graduates and those looking for co-ops and internships from the University of Waterloo and Laurier University because it resides near major public transit routes. At iSystemsNow, our goal is to use the best technology available to deliver intelligent software and control systems across the world. We believe that the best way to do this is to always keep an open mind to problems, and be aware of emerging market technologies that could apply to our customers down the road. Innovation is a word that is often overused, but it is something that we truly believe in. To stay competitive against other intelligent companies, we must continue to invest in research and development to stay ahead of the curve. iSystemsNow is very pleased to announced that we have successfully partnered with G&S Airport Conveyor, to be awarded the contract for the upcoming EDS re-capitalization project at the Harrisburg International Airport. This project will involve the replacement of three legacy L3 eXaminer Explosive Detection Machines, and replacing them with two new L3 eXaminer 6700 machines. The new machines not only have new technologies to allow for faster and more efficient processing of baggage, but will also move the communication protocol for the control system interface over to the new TSA IRD compliant protocol. iSystemsNow is pleased to announce that it has integrated its 10th and 11th Explosive Dectection System Machines for the U.S. Department of Homeland Security at the Sioux Falls Regional Airport in South Dakota. The X-Ray machines passed iSAT testing and were recommended to go live last week by the Transportation Security Administration. This machine upgrade will allow a higher volume of bags to be processed at the airport and also lead to a more reliable passenger experience. This week iSystemsNow is pleased to announce that it has turned over 3 more EDS screening machines for use by the US Department of Homeland Security for live screening of passenger luggage at both the Asheville and Grand Junction Regional Airports. Working with the Vic Thompson and Leidos team, we have now successfully completed 3 EDS re-capitalization projects in Oregon, Colorado and North Carolina. We look forward to the continued success of this team as we plan for the next round of re-capitalization projects. iSystemsNow is pleased to announced that we have been awarded the contract to work alongside Leidos and The Vic Thompson Company to complete the EDS re-capitalization project at the Sioux Falls Regional Airport, in Sioux Falls, South Dakota. iSystemsNow is pleased to announced that we have been awarded the contract to work alongside Leidos and The Vic Thompson Company to complete the EDS re-capitalization project at the Grand Junction Regional Airport, in Grand Junction North Carolina. iSystemsNow is pleased to announced that we have been awarded the contract to work alongside Leidos and The Vic Thompson Company to complete the EDS re-capitalization project at the Asheville Regional Airport, in Asheville North Carolina. iSystemsNow is pleased to announced that we have been awarded the contract to work alongside Leidos and The Vic Thompson Company to complete the EDS re-capitalization project at the Rogue Valley International-Medford Airport, in Medford Oregon. The goal of emulation is to verify and test an automated system before setting foot into a customer’s facility. There are two components required for emulating a material handling system: computer modelling software and controls software. The modelling software’s job is to render the product movement and virtual environments while the linked PLC controls software initiates I/Os and hardware decisions in real time. This allows both pieces of software to be fully tested in an office setting before it is shipped to site. With emulation as part of our project lifecycle, we are able to detect bottlenecks and discover issues in a simulated environment rather than a real one. We can save time debugging code on site, and also pass on cost savings to our customers. It is a win-win situation for everyone involved. iSystemsNow has recently completed a control systems audit on the Hawaiian Airlines operated Baggage Handling System at the Honolulu International Airport. Hawaiian was interested in knowing what can be done to optimize and improve their system performance, while leaving the majority of their legacy system equipment in place, and that is why they came to us. We look forward to a continued relationship with Hawaiian Airlines and Honolulu International Airport, because let’s be honest, there are far worse places to work than Hawaii! Mahalo. iSystemsNow has recently completed another successful control system start-up with our good friends at ControlTouch Systems. iSystemsNow and ControlTouch partnered up to provide a top-notched deployment team, to work with Power Automated Systems, out of Sacramento, California, and European Conveyor Systems, based out of Nottingham, England. Together, our team deployed the electrical and controls systems for an automated storage and retrieval systems (AS-RS), which moved pallets of frozen food into and out of a massive industrial freezer. The plus side, we got to spend time in the English countryside and enjoy many fine local brews. The downside… did we mention it was a freezer? Nathan got more use out of his ice fishing gear on this job than he does in most winters on the ice. Dashboarding is a concept that involves displaying key performance indicators (KPIs) on a screen for operators to view and make instantaneous informed decisions about production. It is customized for each facility to highlight the data that matters most. This data is typically aggregated and shown on one screen to be used as a main viewport into the system. How much would you pay for an outside consultant to tell you where to spend your spare parts budget so that you don’t overfill your shelves with idle components? Would it be valuable to know which parts are nearest to their end of life so that you could appropriately schedule off-shift maintenance? The solution to these key issues may already lie inside your database. 1. What technology do I need to replace? Not all components of your system need to be replaced with newer versions. Consult other members of your industry to see what the benefits are of newer models before you switch, and what support structure is in place for your legacy equipment. The bottom line goal of a positive return on investment should not be lost. This hit home to me, as I have been working with my business partner over the past few weeks to launch our new company’s website, and invariably, we would be on the phone at 3am discussing screen layouts and color schemes. I recall one night/morning when I was the passenger in a car driving north through the night, hunched over my Samsung Galaxy SIII screen, reading content and checking for spelling, then communicating with Jeremy via text message. Well, if you are reading this, you already found it! iSystemsNow built this site 100% in-house. Hats off to Jeremy Druce, amazing job! Our hope, is that this page will not just be an advertisement for what we at iSystemsNow can do, but also that it will be a hub for discussion around the techologies and solutions that we all deploy today across a myriad of industries. Happy browsing, check back often! In 2012, Waterloo Region joined an elite group of global players in being named one of the top 20 technological startup ecosystems in the world by The Startup Genome and Telephonica Digital. Check out the articles below. When you are listed up there with cities like Madrid, New York, Paris, London, and least of all Silicon Valley, that is no small feat and it is not by accident. It’s no secret that Waterloo regions tech boom was greatly aided by the widespread popularity of Research In Motion (RIM)’s Blackberry smartphones, but it is organizations like Communitech and The Accelerator Center which are ensuring that Waterloo will be well positioned in the global tech community for years to come. iSystemsNow is the primary business operating entity for Intelligent Systems Now Inc. If you want to know a little bit about how we settled on the name Intelligent Systems Now, it is part to do with Jeremy and mine's desire to push the use of new technology and new solutions to the industrial automation problems we face, and part to do with how hard it is to find a decent web domain now a days.